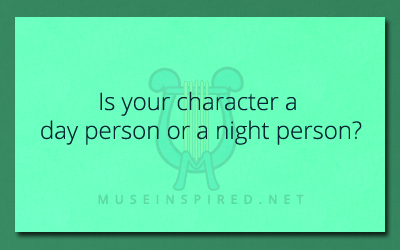 Character Development – Is your character a day person or a night person? Character Development - Which of the Seven Sins best fits your character? Character Development - Describe your character's nose.